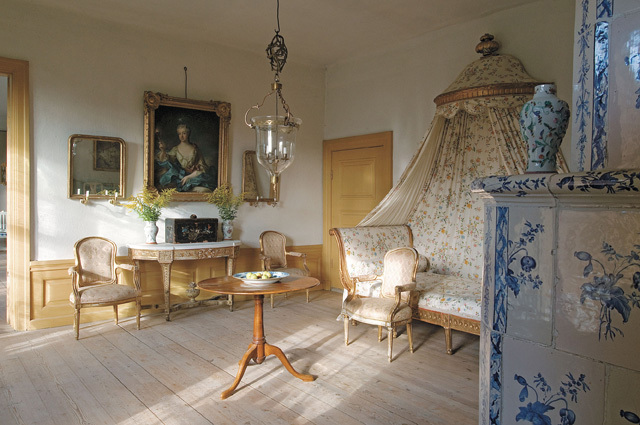 See the best of superbly restored historic houses in ‘Classic Swedish Interiors’, just published by author/curator/Swedish national living treasure, the great Lars Sjoberg. 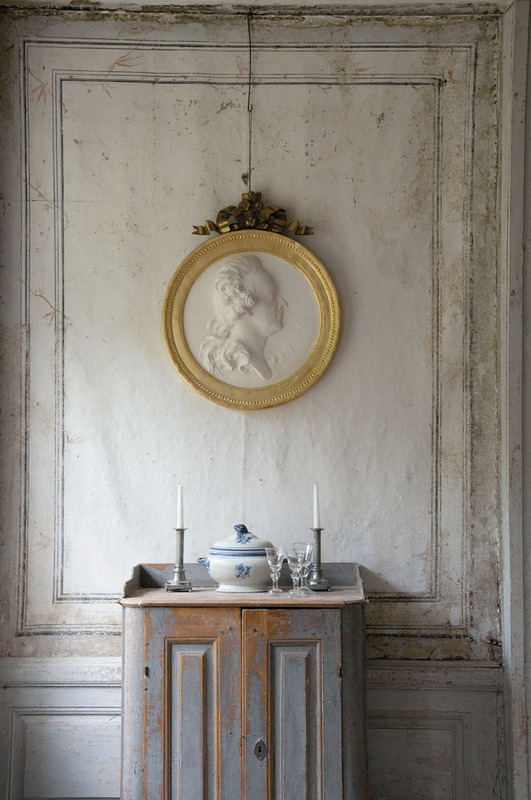 Dreamy and delicious authentic neoclassical interiors in Sjoberg’s latest volume on Swedish décor offer inspiration to all designers. There is also ‘The Swedish Country House’ by historian Susanna Scherman. 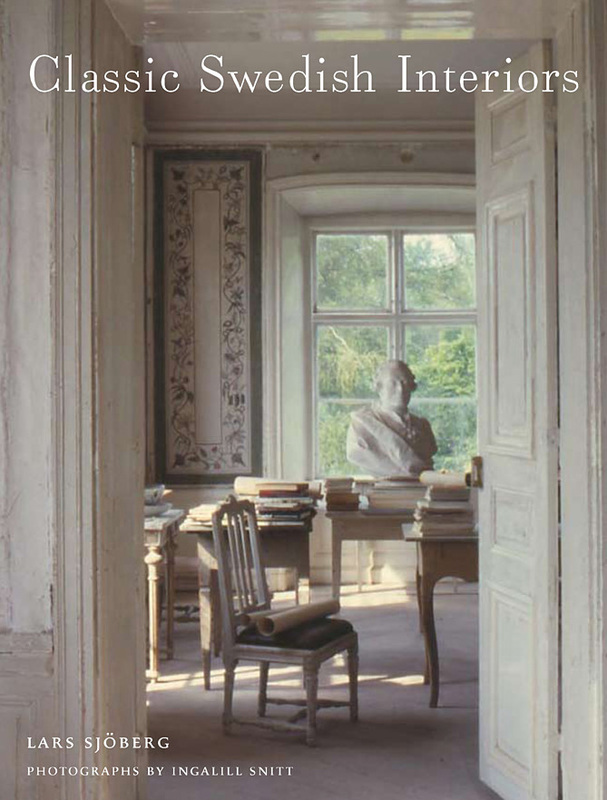 Two new books on historic Swedish interiors are essential for a comprehensive and authoritative design and architecture library. I’ve been fortunate to travel to Sweden several times (always in the glorious summer) and there I’ve spent most of my time speeding from one breath-taking Gustavian-era classical interior to the next. Stockholm. Eighteenth-century. Swoon. These houses, pavilions and palaces are so beautiful in their simplicity, their elegant proportions, and their understated grace. The late eighteenth-century was the golden age of design in Sweden—thanks to the revered young King Gustav III who took his entire court traipsing through Europe. He and his perfumed horde returned to the Stockholm royal palace to recreate elegant Louis XVI interiors and furniture and décor. My sun-struck trips always take me to the dreamy grey/gilded rooms at Haga Pavilion (John Saladino and Paul Wiseman consider these the most beautiful interiors in the world), along with the thrilling Drottningholm opera house, and the hidden recesses and storerooms of the grand National Museum. 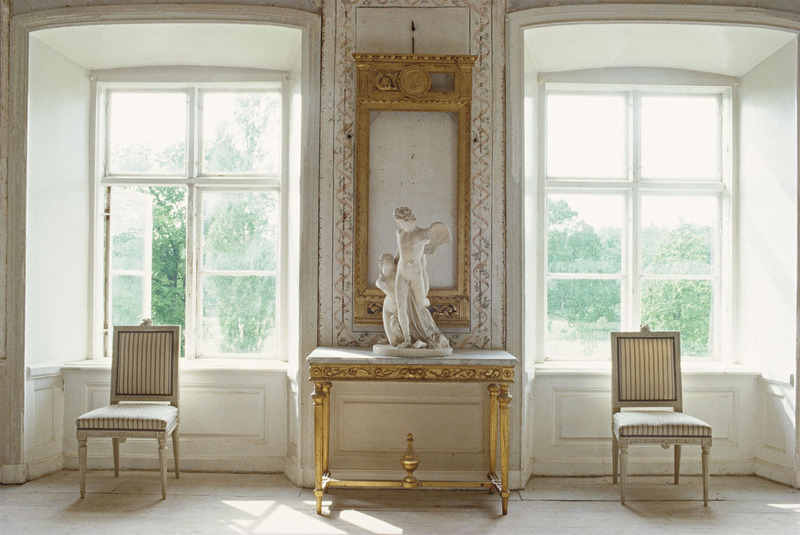 In my quest for beauty and classicism and Swedish style I also dive into the creme de la creme, a designers’ delight, of antiques galleries, art studios, style ateliers, and palaces and manor houses dotted around the surrounding countryside. Everywhere, in manor houses and books and nooks, the name (and the work of) Lars Sjoberg appears, and I have great admiration for this eminence grise of the Swedish design and architecture world. 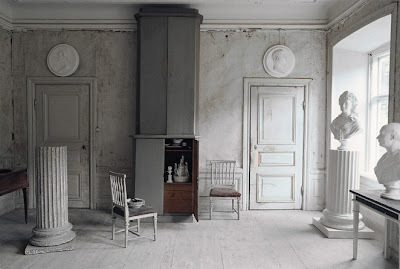 Sjoberg recently published the new ‘Classic Swedish Interiors’ (Frances Lincoln) with extraordinary photographs of snow-topped cottages and sunlit rooms, dust motes intact, by Ingallil Snitt. This definitive volume is elegant and stylish—and an absolute must for any designer’s library. ‘Classic Swedish Interiors’ is one of the best new design books, highly informative and inspirational. Best of all, Sjoberg’s text is heart-felt and detailed and immediate. His opinions have the power of certainty and experience. This author in his sixties now, and he has restored half of the Swedish countryside, it seems. Half a century ago, when he began, he started an important movement in Sweden, to care for, appreciate and honor hundreds of years of handsome and neglected buildings. Lars Sjoberg, formerly curator at the National Museum of Antiquities in Stockholm, is one of Sweden’s leading authorities on Gustavian interiors, architecture, décor, paints, wood-carving, materials, and authentic decorative arts, all associated with the all-too-brief Enlightenment-era reign of King Gustav III. Sjoberg, who for five years consulted with Ikea on historically based Scandinavian furniture collections, has created his own living archive of houses. Renovating and restoringand reviving houses, he keeps alive authentic Swedish styles, architecture, building methods, furniture building, craftsmanship and the refined and distinctive taste of Sweden’s Gustavian age of greatness and power, liberty and influence, in the region. Over the last four decades, Sjoberg, and Ursula, his wife of 45 years, has acquired forgotten eighteenth-century residences and manor houses and small castles, even little country cottages. With a few hand-picked craftspeople, he restores crumbling walls, repaints walls, sands floors, fixes windows, replasters exteriors, all using paintstaking old techniques and simple materials. Then he furnishes them (rather sparsely, but with great style and taste) and he photographs them as veritable time capsules. Sjoberg has completed the thorough and highly-detailed restoration of ten houses. He also furnishes them. Some he lives in. Others don't have electricity or plumbing, just like in the rustic old days. 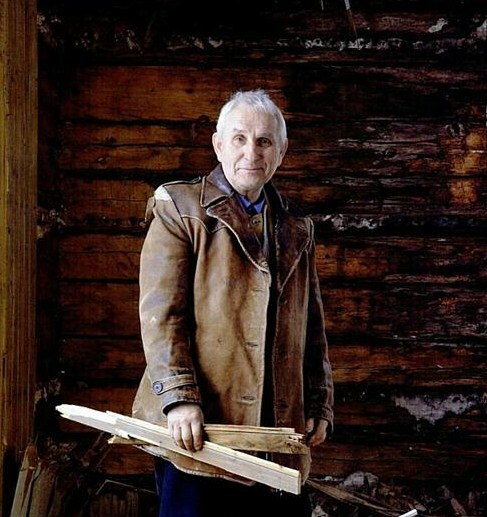 He’s totally hands-on—so this white-haired compulsive craftsman can often be seen around town in his shabby and paint-spattered work clothes, his worn-out shoes, tattered jackets and dusty coats, according to my friend Ingela, the found of the wonderful Swedish blog, Love Your Homes . Ingela said Sjoberg is credited with saving houses that others won’t touch—and his reverence for Swedish history is legendary. In the book, we see glorious Sorby, Odenslunda and Salaholm, scattered throughout the Swedish countryside. These are impressive manor houses built by noble families, landowners, successful merchants and even farmers who wanted to bring princely proportions and styles to the provinces. Others, such as the rather palatial Ekensberg—on the shores of Lake Malaren, just west of Stockholm and not far from the center of town—are modeled on Italian villas. Lars Sjoberg is a totally passionate and serious /historical archaeologist. He acquires the houses and this private ownership allows Sjöberg to be a purist, even a cranky one, he admits. When he first started, it was not fashionable to be digging around in dusty houses and fixing up houses that were clearly falling apart. 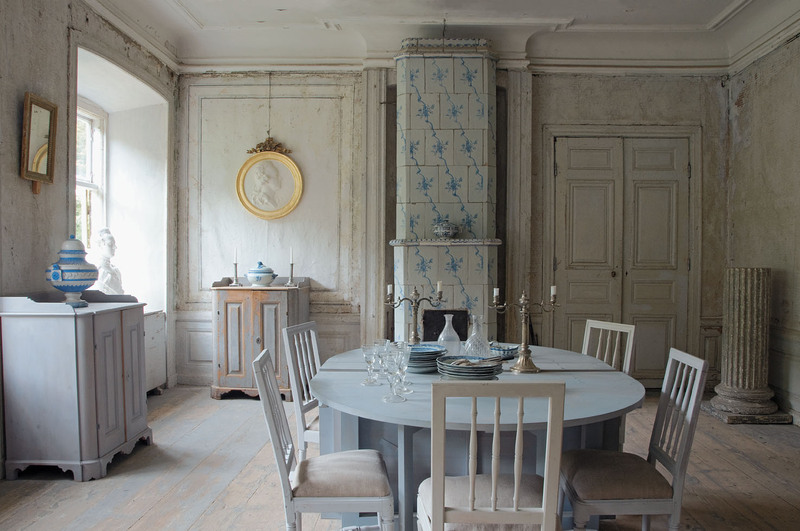 Sjoberg (who recently founded a tech school that teaches traditional building and furniture-crafting) takes his time to re-create the interiors of the Gustavian period. He reconfigures hand-painted linen wallpaper, finds plaster recipes, pokes around antique shops to find the old ceramic-tiled stoves, haunts flea markets to pick Gustavian-inspired grey-painted chairs, strips wood floors, adds imported ladder-back chairs, and in some houses, the grander ones, he dusts off glittering chandeliers. The well-to-do houses have gilded moldings, and he styles them with plaster busts, draped beds, and saggy chairs. All of them he dresses and arranges for photography, right down right down to blue-painted dinner plates and platters, cups and teapots. But these are not tarted up…no stylists’ tricks for him. Photos in the book are sensational. Bravo to photographer Ingallil Snitt for marching forth in the Scandinavian deep winter to capture gardens and manor houses in the snow, and to meticulously shoot the fading afternoon light of a Swedish January. In Ingallil Snitt’s poetic images, we see Sjoberg’s artistry and sensitively constructed aesthetic experiences, moment by moment. These are the rooms of our dreams. Sjoberg’s style ranges from bare and haunting country interiors stripped of overt ornamentation to exuberant and rich gold consoles and framed portraits. 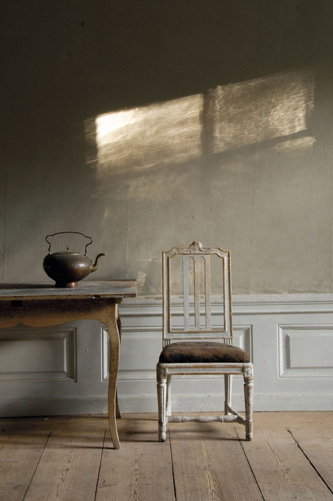 The original state of some houses is presented in a calm and placid state of dusty and weathered beauty. Sjoberg himself gets up on rickety ladders, totally obsessed as all great talents must be, and his helpers wander through furniture and paintings and the objets d’art that he collects. They are stacked and piled in unused rooms and hallways. 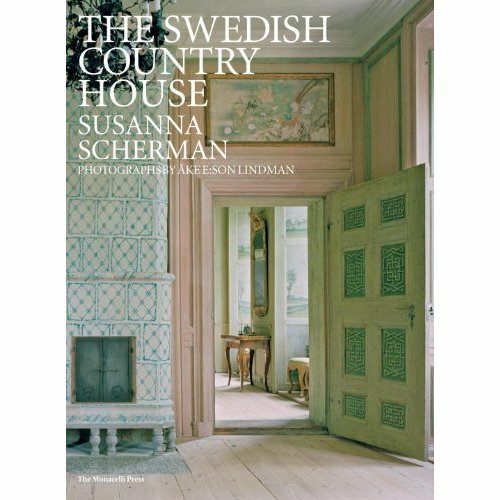 And while we are on a Swedish kick, I recommend another fine new book on Swedish historic interiors, ‘The Swedish Country House’ by Susanna Scherman (newly published by The Monacelli Press with photography by Ake Lindman). Many of the twenty houses are shown in their delicious country settings. Haga Pavilion is shown here—but oddly the dining room, which many consider the most beautiful room in the house, is not depicted. Still, the book is an excellent reference for authentic painted finishes, decorative painted motifs, woodwork, and architectural styles dotted around Sweden, from Ystegarn in the north to Torpa in the south. This is an important addition to a design/architecture reference library. Photos: photographs from ‘Classic Swedish Interiors’ copyright Ingallil Snitt, are used with express permission of the publisher, Frances Lincoln. I will be heading to Amazon next to order these books! What lovely images. Thanks for sharing. I look forward to seeing these new books because I, too, love Swedish neoclassical decorative arts. In addition to the Gustavian period, I also collect furnishings from the Swedish Empire era (which followed the Gustavian period) and a few examples from the Rocco (which preceded it). HI MIMI-You will love both books. Their text is rich and detailed and fascinating. Interesting that two totally different authors cover a somewhat similar topic--classic Swedish houses--but the result, on these pages, is totally diverse and varied. Hi John: lovely to hear from you. Love your blog. Lars Sjoberg has devoted his life to recreating historic and richly detailed interiors. Imagine if there were such talents and obsessive design people saving houses in special places in the US...not for profit, not for real estate greed, but purely for the love of these dwellings. Oh no- more beautiful books. Where oh where am I going to put them?! Both beautiful and interesting - guiltily adding to my Amazon list! Thank you for sending me on another book expedition. 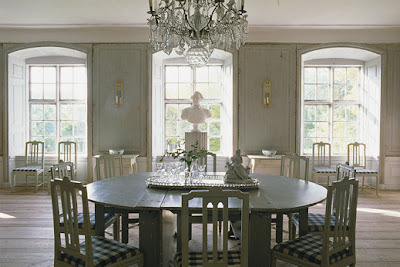 I have always loved the minimalism of classic Gustavian and later Swedish interiors. Now I'll have much more historically accurate references. I love the notion of bringing these old homes back to life. What an interesting man. I'll be putting these books on my wish list. Thanks. Having been lucky enough to have dinner at the charming home of Lars and Ursula a few years back, I can't wait to see his new work. He is soooooo devoted. And Sweden is DIVINE. Thanks again, Diane. Living in Canada north of the 49th parallel, maximizing winter daylight is important, just as in Scandinavia. After living with dark wood floors and furniture, and then changing 25 years ago to these lighter tones, I couldn’t go back to the gloomy dark shades. I like the mellow, antique look, but I’ve seen a few similar restorations elsewhere that are slightly too shabby for me. 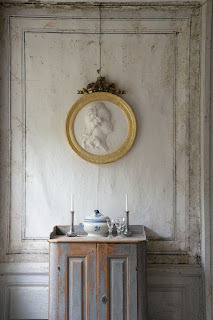 The interiors in the photos are lovely, and I especially admire the round plaques with classical portrait profiles. How very elegant and classic, and easy to live with is this decor. One thing that is important to remember is that how quickly rooms like this change with a vase of colourful flowers, throw cushions, lap robes, or Christmas decorations. My rooms are this neutral, and when the red comes in at Christmas, or yellows and pastels at Easter, it looks glorious. A hit of colour dramatically changes such a room when you’re in the mood for it. 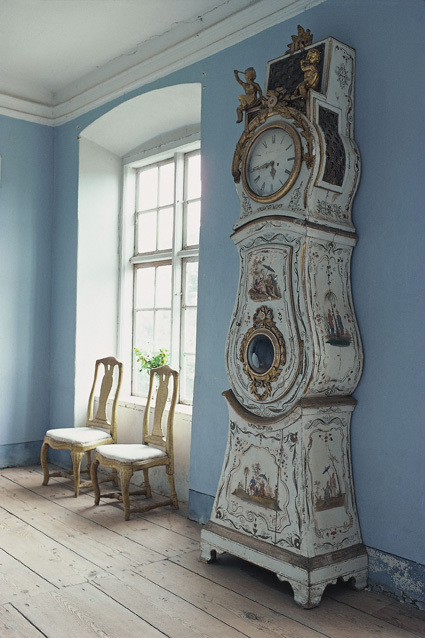 I find it interesting that Sweden is so very well known for the ultimate in mid century modern design, but at the same time, there is a taste and acceptance of this very prescribed, authentic, 18th century period look. Thanks for letting us know about this beautiful book. I want! the rambagh palace is really really gorgeous and elegant. i wish i ve one like this!....daydreaming....!! !